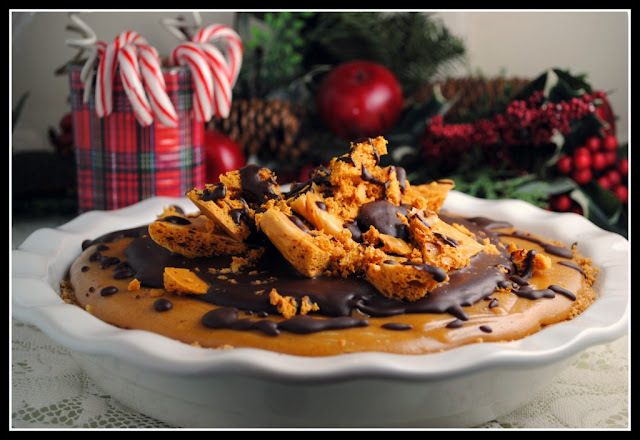 I knew I had to feature this pie once I saw it required you to make your own honeycomb candy. Honeycomb really isn't too difficult to make (If somewhat dramatic. Spoiler alert: it involves sudden foaming) and it tastes like crispy caramel. Honeycomb and honeycomb related treats like Australia's Violet Crumble bar are oddly under utilized here in the US which is a bit of a puzzler because 1. they are delicious and 2. it is candy. Americans love candy! I'm trying to bring honeycomb to our shores one recipe at a time. Pairing it with what I think is one of if not the most popular American flavors, peanut butter, is the perfect way to do that. The familiar and the novel all in one pie. Plus I think the creamy peanut butter would be a wonderful texture contrast with the crisp honeycomb. Find the recipe and Nicole's tips on slimming it down at Prevention RD .